How are you enjoying the Australian Festival of Chamber Music so far? I’m really enjoying it. First of all I’m very, very happy that Kathy invited me here. She’s a good and dear friend. With amazing musicians, of course, amazing playing – but also just really nice people to hang around. It’s just a lot of fun and a lot of great conversations. And then, of course, the weather is nice, and the audience! You’ve worked with Kathryn Stott before, and recorded with her, how did the two of you first meet? We met at a festival in Norway, I think in 2010, at the Stavanger Music Festival. The first time we played together it was actually the piece we’re going to play [in Gypsies, Pipers and Dukes], the Légende by George Enescu. The first time we played together was live on the radio. I had this radio lady following me around and she was, like, “And now, live from the rehearsal room, let’s go in with Tine.” So we said hello live on radio and then she asked us a couple of questions and then, “can you play something?” We were like, “Ah… OK.” So we did the first page of this piece, before the really difficult thing starts. And it was just one of those moments, I guess. We were like, “We have to do this more than just in this festival,” because we just immediately connected. So now we’ve toured a lot and recorded my album Tine and now she also has a professor position in Oslo, which is where I live, so we meet up and it’s really nice. You play a lot of chamber music, how important is it to you in your career? Well, basically everything is chamber music. No matter if it’s with a big orchestra or with one person or several. I mean, chamber music is even in all types of genres, I would say. It’s a term we use in classical music but basically chamber music just means playing together. It’s part of everything I do. You’re also a regular concerto soloist – is it harder, do you think, to build a career like that compared with being, say, a violinist or a pianist? It’s a very different type of career – we’re not that many. Some might say it’s more difficult in that sense, there is not room for that many. It’s maybe me and, I guess, three or four others that do this full time, as a soloist. So that’s quite few compared to all the violinists! But I also see it as nice – I’ve spoken to a lot of my string colleagues, especially violinists, and in some aspects they envy me a little bit, that I play the trumpet, because I can do more different stuff, basically. We don’t have all the traditional big concertos, so I’m a bit more free to do commissions – or it’s a more natural part of the career, I guess, to have to do these things, in a good way. But of course I envy them all the concerto repertoire from the Romantic period and so on. It’s just a very different type of career. Also because the orchestras don’t program trumpets so often – it’s a different type of market, I guess my management would say. How did you know you wanted to be a trumpet player as a career? I’ve never wanted anything else, since I was a kid. 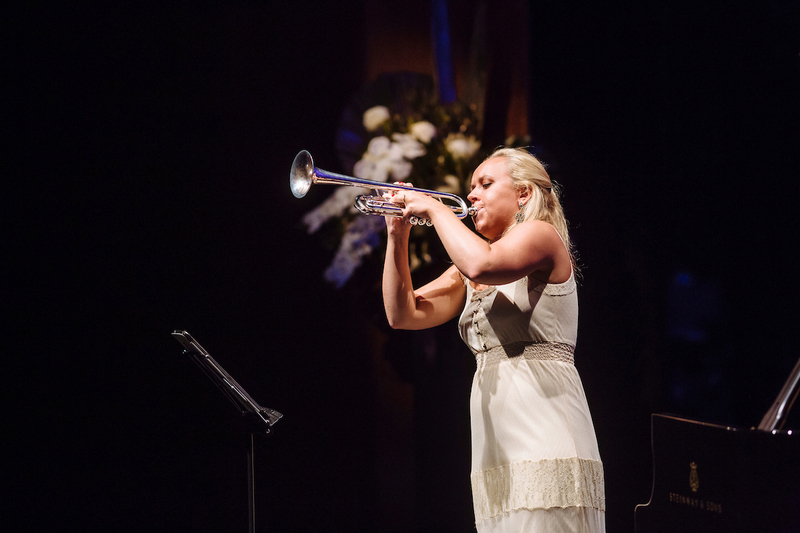 Building your career, was there a particular area you wanted to go into – did you want to be a trumpet player in an orchestra or were you set on a chamber or solo career? I guess I was naive, as little kids are, but I just thought I would be a soloist. And I mean the reason that I knew what that even was, is that my mum and dad are hobby musicians – my mum plays the trumpet – and they both knew this Norwegian trumpeter, Ole Edvard Antonsen, who was a big international soloist at that time. And of course my mum had albums of Maurice André and also Ole Edvard and Håkan Hardenberger – they’re like the same age as my mum and dad. So I knew what it was, that it existed – that it was even possible. Your all-female brass ensemble tenThing, how did that come about? It started as a project just for fun, basically. First of all there’s a great concert band, wind band and brass band tradition in Norway, which is quite unique. That’s where I come from, from when I was young. 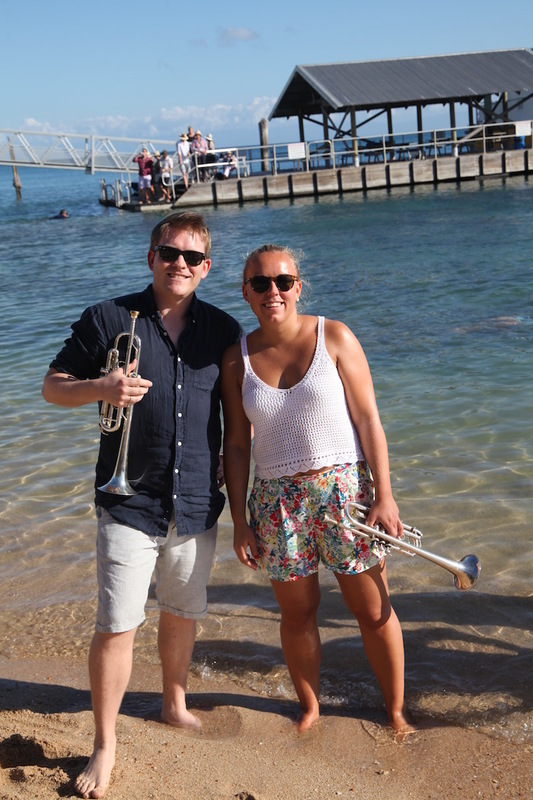 Brass – I don’t know how it is here in Australia, at all, but a lot of other places in the world find it rare that I’m a girl (or a woman), but in Norway it’s completely normal to play the tuba or whatever when you’re a girl. So there are a lot of great female players. In school it was me and my three very good friends who played the trumpet, who studied together, and we were sitting at a Christmas concert with our school and listening to the string ensemble playing downstairs – Vivaldi, or whatever. And we were like, “We also want to play that music. Maybe we’ll just start an ensemble and try that. We’re only girls, we know a lot of great girl players, let’s just be girls, let’s try that.” Nobody would even question it if we were only boys – they wouldn’t even comment on it. So we had our first concert in Norway on my 20th birthday, so ten, almost eleven years ago, and then it just kind of happened gradually. Now we tour a couple of times a year – this year we’re going on a Christmas or winter tour in Germany, Switzerland, Italy and Austria. Then we have the States again next year. I understand you also do some TV and radio presenting – how do you fit that in with everything else? I try to find this balance, which I think I’ve kind of managed now, after 13 years or something in this business. At least I’m closer than I’ve ever been to finding a good balance. It’s fun, so I don’t do that all the time, but I do projects, both radio and TV in Norway – it’s just another part of using my knowledge, I’m there because I do what I do and I am who I am. At the same time, hosting a live TV show is quite a challenge. But it’s also fun to get to learn that profession, what it is to be a good TV presenter. Is there a different kind of pressure doing that to playing a concerto? It’s probably mostly different because it’s not something I’ve been practising my whole life. It’s newer to me. So it’s a very different kind of pressure. What have you got planned next that you’re excited about? A lot of people have asked me this, and I have to be honest – basically I’ve come here straight from my honeymoon. I got married in May, so my husband is here, he’s also a trumpet player so we’re actually performing [in Gypsies, Pipers and Dukes] – he’s joining in one of the pieces. So I haven’t really thought much about what is actually going to happen after this. I know I have a concert on my birthday, and then I haven’t checked my schedule so much. I know there are great things coming up – new pieces, great orchestras and so on. I’ve kind of been in my bubble, which is nice, which is also a thing I’m trying to do more of. Earlier I used to think about work all the time – it was my life, basically, but there is so much more to life than playing the trumpet and having this career. It’s nice to just shut it off. So this is like a very nice start to the season. A concert that confirms Carl Vine's unerring ear for beauty. In his new concerto for two pianos inspired by James Gleeson’s surrealist art, Carl Vine asks what’s to be done with two heroes? Artistic Director Kathryn Stott has unveiled her first program for the Festival, with a swathe of new artists, premieres and plenty of old favourites. A close friend of Piers Lane, the British pianist admits he will be a hard act to follow. We talk to the AFCM's new AD about old ideas and new brooms. Francis Gouton and the Orava Quartet tackle a Schubert mammoth.